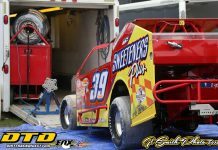 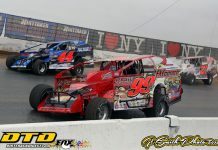 “We’re gonna race,” said Modified driver Tom Sears Jr. as he prepared to start at the tail end of the field for the Billy Whittaker Cars 200. 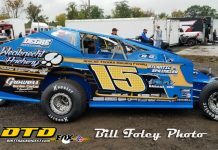 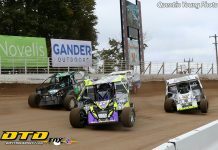 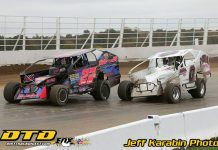 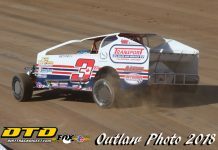 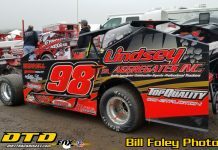 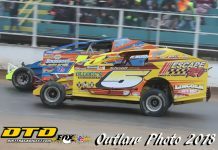 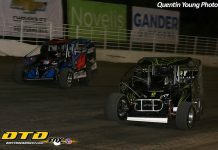 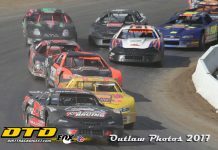 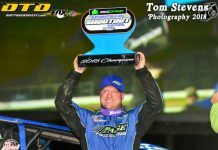 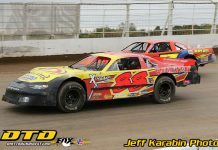 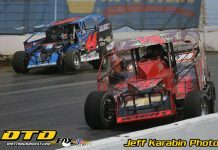 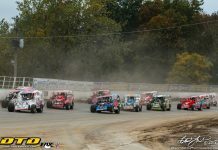 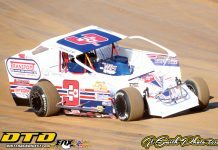 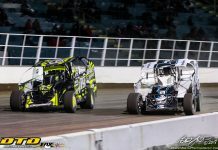 Sears earned the berth in the field due to his DirtTrackDigest.com “Win and You’re In” feature victory on Saturday night at the Fulton Speedway. 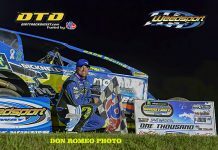 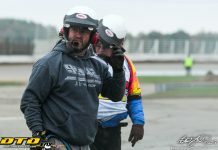 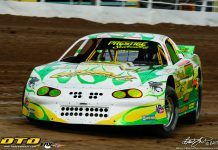 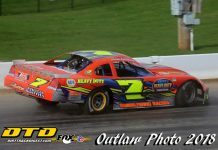 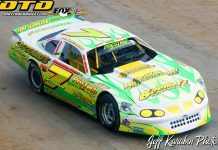 The 2008 Fulton Speedway champion is anxious go race and the win that got him in meant quite a bit to him. 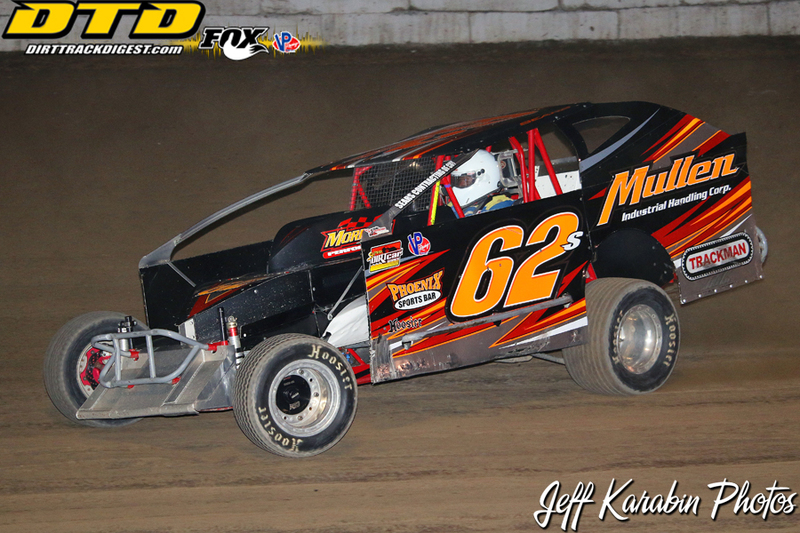 So Sears Jr. and the Mullen’s Industrial Handling Corp 62s owned by Jerry Fay has found its place in the Oswego pits for the culmination of Super Dirt Week. 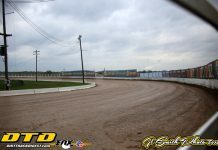 The track is substantially different for this year’s event and Tom is anxious to get going. 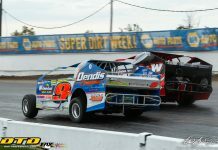 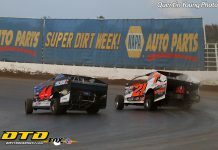 Sears Jr. drives the slick at Fulton and if the Oswego surface evolves in that manner he could fare well.